This identity set uses a simple, yet professional, design. Just drop in your logo and you’ll have a full set of templates that presents a great image to your clients and potential clients. 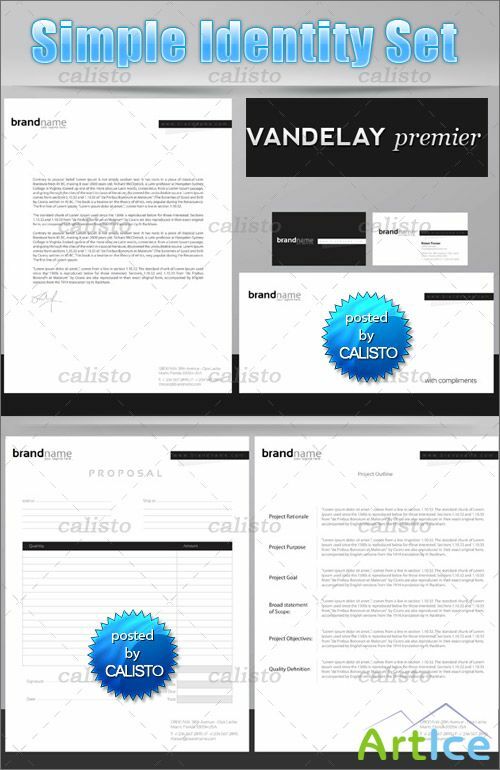 The set includes letterhead, an envelope, a two-sided business card, an invoice, a proposal, and a CD cover. The font used in these files is Sansation.